Ritika takes very good care of her health. She gets regular exercise and eats a balanced diet. She even washes her hands with soap before and after each meal and brushes her teeth twice a day. Yet she falls sick very often. She is active and healthy generally but seems to have low immunity. Why? The reason is very simple. Ritika is exposed to disease causing germs and bacteria in her daily life, without even relising it. Here is a list of germ hotspots that few people think twice about. If you can avoid these germ hotspots, you will cut down your risk of infections by a drastic percentage, provided you take good care of your health generally. 1. Gyms: This is where Ritika probably gets her infections. 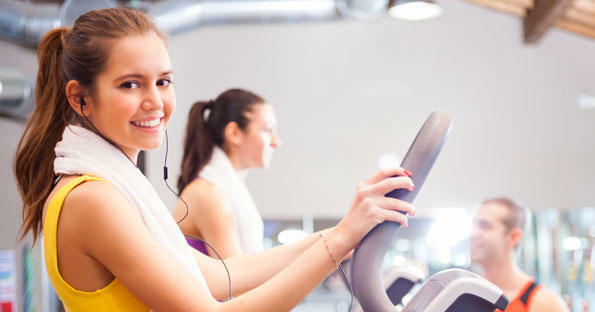 All the machines and equipment you use in a gym have been used by hundreds of sweaty and germ ridden hands before you. Many of them may have even squeezed a runny nose or handled other bacteria laden stuff. If you like gymming, your best bet is to wipe the surfaces clean with a tissue or towel before you use any equipment or machinery. And you MUST take a complete shower with soap after you finish. 2. Kitchen: You might think the kitchen is the cleanest part of your house. But your kitchen sink and even the dishwashing scrub is one of the biggest breeding ground for germs. Your wastebins in the kitchen are also a hotspot for germs. You chop the vegetables and dump the waste into the wastebin, while doing your cooking at the same time. You compromise the health and safety of your family by doing this. Do not touch the taps or the wastebin while cooking without washing your hands with soap afterwards. 3. Public Places: We like a little support while climbing the staircase in the library. But doesn't everyone else too? Places like lift buttons, door knobs, staircase railings etc are touched by thousands of hands everyday, many of them sick! Germ hotspots!!! 4. Restaurant Ketchup Bottles: Restaurants and eatieries use these ketchup and other sauce dispensers that all patrons use. It is unlikely that the owners bleach these dispensers regularly. So what happens? You land up with scores of germs on your hands! 5. Your Phone: Surprised? Health studies and research have found that cell phones and other such devices house tons of germs and bacteria. The slightly warm environment is conducive to growth and constantly being held in hands leads to the germ accumulation. How to Make the Most of Your Gym Membership?